Bollywood actress Sonam Kapoor, who has been tested positive for swine flu, was today flown to Mumbai by an air-ambulance from a private hospital here. 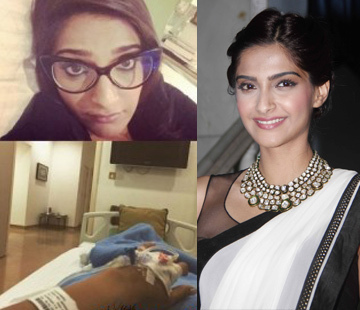 “Sonam Kapoor, who was being treated at the Sterling hospital for swine flu infection has been taken to Mumbai today by an air-ambulance,” Medical Director of the hospital, Dr Kamal Parikh, told PTI. Next article35 Most Creative Packaging Designs!